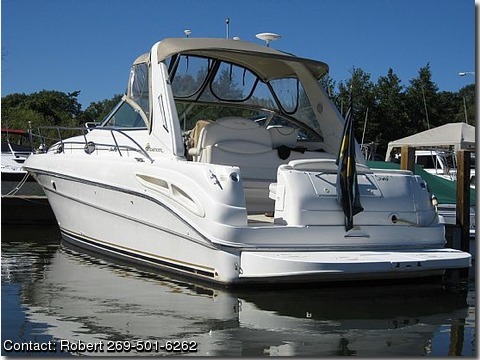 THIS BEAUTIFUL, WELL-EQUIPPED CRUISER IS EXTREMELY CLEAN AND HAS ALWAYS BEEN STORED INDOORS. LOW HOURS, AND EQUIPPED WITH RAYTHEON ELECTRONICS PACKAGE,AND A WESTERBEK GEN SET. POWERED BY TWIN MERCRUISER 7.4L's WITH 620 TOTAL HP.